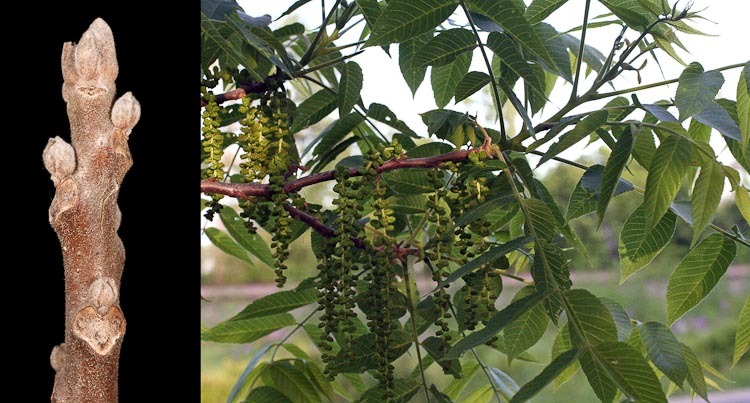 Black walnut (Juglans nigra) is a common tree of open woods and wooded borders. 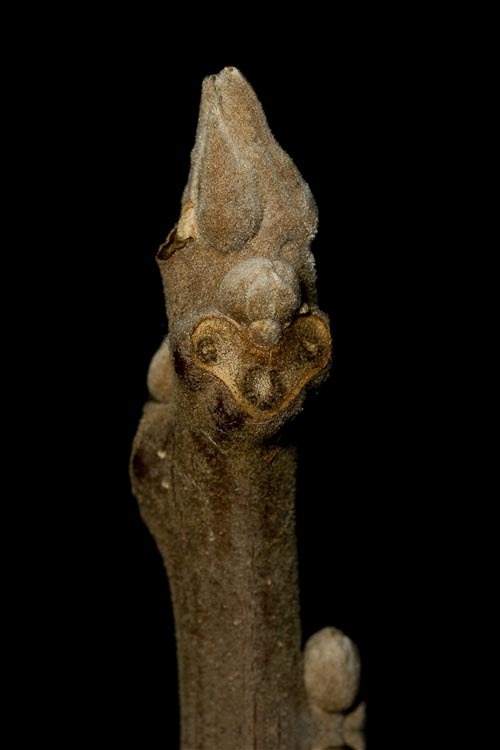 Walnut twigs are stout, with a true terminal bud, and 3-lobed leaf scars that look like a money’s face. Walnut (Juglans nigra) leaf scar looks like a monkey’s face! 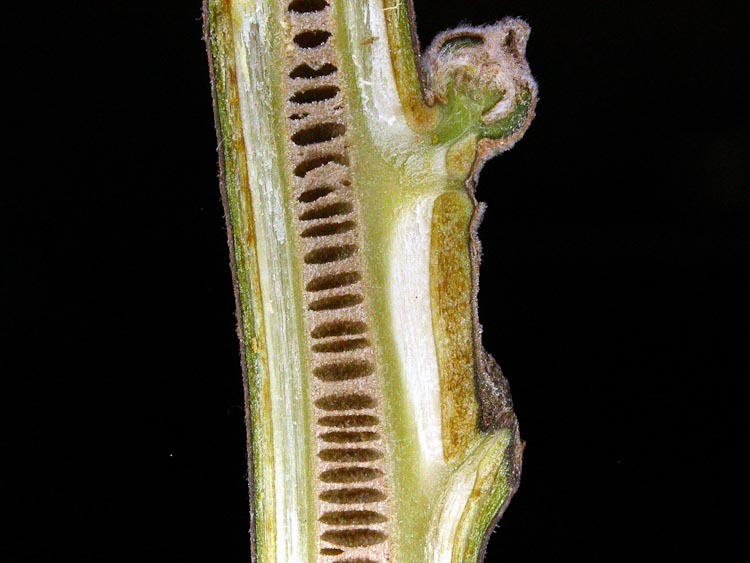 Walnut twigs have chambered pith (i.e., hollow with cross-walls). Chambered pith: is anything more beautiful?